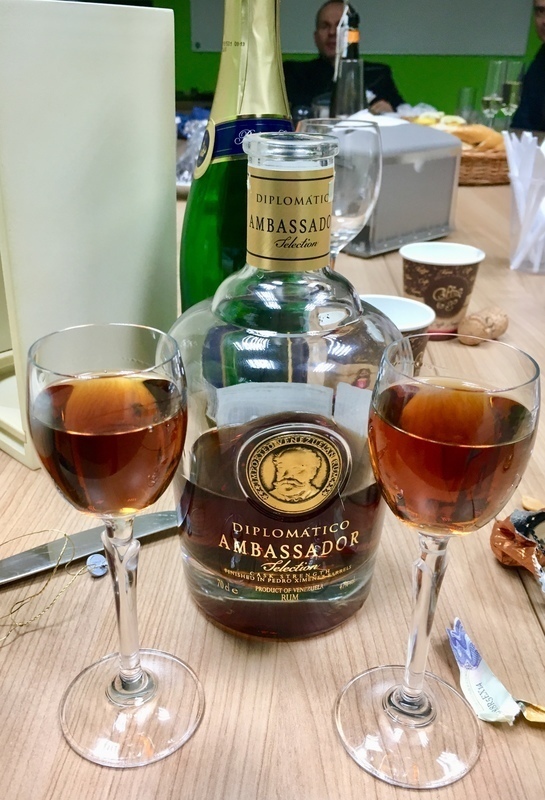 Have you found an online vendor selling Diplomatico Ambassador Selection? 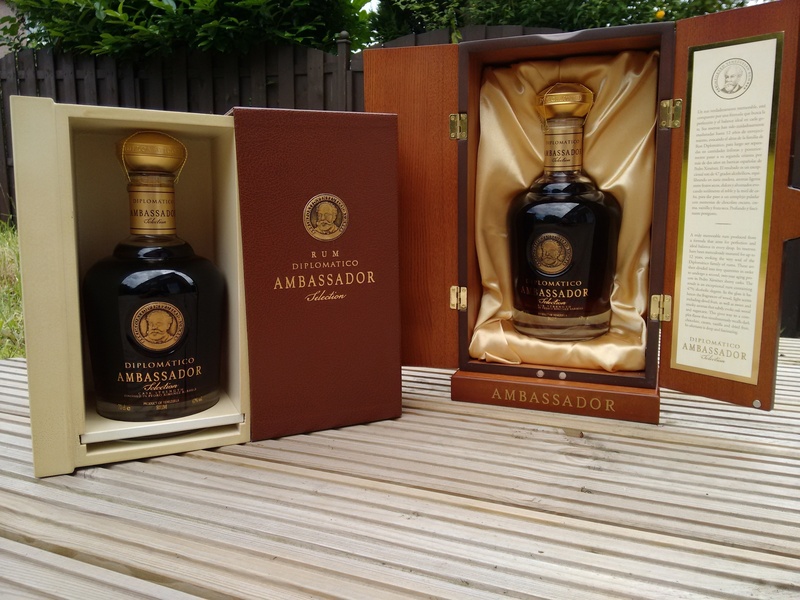 Diplomatico Ambassador Selection is a limited edition rum crafted from 100% still pot rums and aged for a minimum of 12 years. Like its counterparts, the rum originates from Venezuela and is aged in ex-bourbon casks. The rum has a high strength and does not contain any sweeteners, caramel or other additives which means it does not require chill filtration. 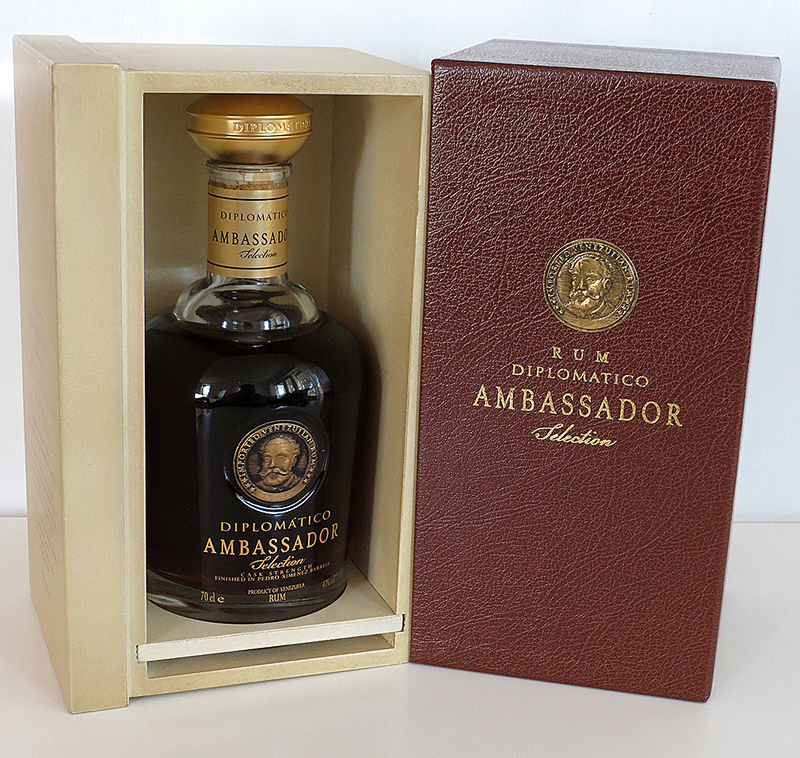 Diplomático Ambassador Selection comes in a high class bottle and a high class package. Very classy (picture). This rum have to rest in the glass so all of the nice aromas will come out. You smell sweetness, fruit and chocolate. This rum is 47% proof but you don´t sense that in the smell or in the taste. The taste is mild with sweetness, vanilla and a hint of spice and sherry. You don´t sense any alcohol. It´s very well balanced and smooth. The thing that suprise me the most, is that the rum is on 47% without being too strong. Of course it gives it a strong power, but it's wrapped in soft sweetness, and could not be better balanced. PLEASE TRY IT!!!!! Nose : I find dark chocolate, sherry, power and small hints of vanilla. Taste : I find dark chocolate, roasted nuts, sherry, orange, molasses and a great power. The rum is so thick and delicious, that it lubricates your mouth while you drink it, delicious!! The aftertaste is deep, strong and with the perfect little sweetness, that ends up with molasses. Du you self a favour and try this rum if you like sweet rums, but with a strong power that kicks you in the mouth on the same time!! 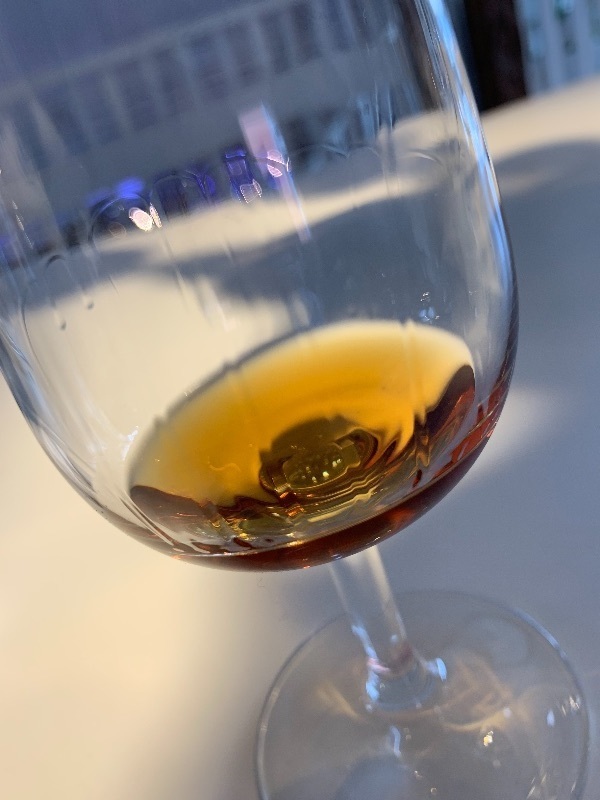 I rate new rums by blind tasting them with other rums that I've already scored, to rate the new rum and validate my existing scores at the same time. However, when I tried this one next to others, there was absolutely no question which rum was the Ambassador as it tasted like no other rum I've ever tried. Anise, caramel, almonds, oak, cacao, molasses, and a bit of sherry, vanilla, and tobacco. The abv is high at 47%, but rums this great always taste better stronger! If you're ok with a good hint of anise, you'll probably love this as much as I did. This is truly an amazing rum. I want more with fine a cigar - WOW! Was not expecting the quality of this rum. The reserva exclusiva is decent and the single vintage is great, but this is just something else. That said, the diplomatico lineage is still obvious. The nose is wonderfully thick, with full, soft, oaky notes, a bit of chocolate, flamed banana and heavy caramel. The first sip made me go wow. It's fat and oily with a deliciously deep, yet soft and subtle caramel and chocolate character. Notes of prunes and banana also peaks out. The deep caramel note is countered by full, complex, oaky notes, but it's not particularly dry. The strength of the rum builds up the notes and makes the taste full, intense and interessting, but still pleasant at the same time.There's a very long, big bodied aftertaste, and you feel a nice heat building up in your mouth and chest. If you feel like parting with a substantial pile of cash, consider throwing it at this baby. Wonderfull but considering the pricetag and slightly masking sweetness, this rum restrain itself from a 10. Found big sister, it's time to open little one ! I was expexcting a Roller Coster with this one judging by the ratings, bottle and price. So yes, it is a good Rum, but I find it quite bitter, and the alcohol is all over the place, in the nose and in the mouth, covering everything else. Even in the long aftertaste. This is an awesome rum, really dark and rich in colour. Nose: is just filled with chocolate and burnt nuts a little bit of orange,coconut and banana. Taste: is so smooth and and almost like velvet with a strong power 47% but the power is very well balanced and notes i almost the same as in the nose, but with raisins. Aftertaste: looong and sweet with a little bit of oak. Tried it at Rum Fest UK and it was so good I invested in a bottle! This is quite simply Liquid gold!! My wife brought a bottle back from Miami for my birthday last year. This rum blew me away. I am a big fan of the other Diplomatico offerings, but this one rates my top rum to date. I love the bottle with the very heavy cork. The rum just tastes perfect! What an explosion of tastes, complexity, sweetness, delicate, very balanced..first time I tasted a rum that really gave me a WOW feeling! My favourite rum so far. The budget speaks for its self..
Been waiting for this moment for some time. I am a fan of sweet rums, and Venezuela has a few of the best. I have the reserva and some of the single vintages among which the 2000 which is superb, but now that I got the Ambassador, I am in heaven. Strong but smooth, thick and sweet, but then again not too sweet, great to roll around on the tongue and incredibly full aftertaste. Absolute perfection, in a absolutely perfect presentation... which is what you have the right to expect at that price! Tested together with single vintage and it is difference, more body and longer aftertaste with more complexity. High priced but worth the money, To enjoy at special occasions. Fancy and good, easy to drink, but at this pricetag I can find better. Way better. In the diplo series I Would pick their s.v 2000 over this anytime and its half price. Přímé srovnání Single Vintage 2002 s Diplomáticem Ambassador Selection. Ambassador Selection hravě zvítězil, rozdíl v kvalitě byl markantní. Přesněji řečeno jsem pil rumy Botucal. To, že se rumy Diplomático prodávají na německém trhu pod názvem Botucal, je důsledek trochu absurdního soudního sporu s obchodním řetězcem ALDI, který vlastní ochrannou známku Diplomat, pod kterou prodává levné brandy za nějakých 6 € za lahev. Prostor pro záměnu s rumem, navíc při velkém rozdílu v cenách, moc nevidím a vzhledem k popularitě Diplomática ve světě by se mohl na slávě podobně pojmenovaného produktu přiživit spíš Diplomat samotný. Nicméně od března 2012 v důsledku soudních tahanic oficiální distributor pro Německo ustoupil a rumy jsou na tamním trhu pojmenovány Botucal. Shrnutí:	Výborný rum. Charakterem mi připomíná Rum Nation Panama 21 yo. Ovšem cena je zde mnohem vyšší, než u Nation Panamy. i expected more of this Special expensive Rum. the single vintage is fuller of taste than this. Got this one for my father. Needless to say, he liked it like none other. Keep it for special occasion tho, the price point is a bit on the very high side. All I can say about the flavor is that it won't dissapoint. It's in the top 10 for a reason. This is one of the best rum I've had to date, and I've tried a lot of good ones. It has an amazing smell of rich butter toffee, caramel, and butterscotch, with a light sherry taste that isn't strong enough to detract from the rum. Taste is an amazing follow up to the nose. Strong at 43%abv, but so good the added strength is perfect. Would pair well with a fine cigar. Simply an amazing rum. This is for sure an awesome rum. Really great complexity - not as sweet as the other Ambassador rums. But it does come at a hefty price, where you can find even better alternatives. Had the chance of tasting this product at an event and it was really amazing! This is very pricey but it is one of the best rums i have ever had. Exceptionally sweet and smooth, even despite being this strong. man riecht gleich das es ein diplomatico ist! im vergleich zum diplomatico reserva kräftiger, stärker, weniger süss. ein muss für jeder rumliebhaber!